The International Furniture Fair Singapore, held in conjunction with the ASEAN Furniture Show (IFFS/AFS) and the newly rebranded Nook Asia, is regarded by industry experts as Asia's premier sourcing platform and design-led exhibition. With over three decades of experience since its inaugural event in 1981, the IFFS/AFS remains the most distinctive channel for regional and international companies to penetrate the global market. International Furniture Fair Singapore (IFFS), a leading design and living international fair, announces a special collaboration with renowned Italian designer, Giulio Cappellini, for the next edition of the show. 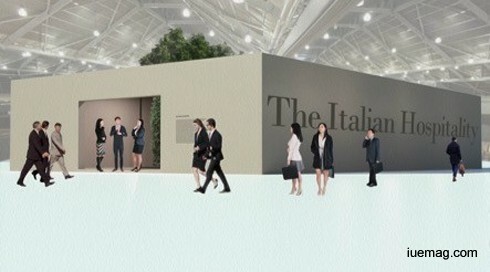 Taking place in Singapore EXPO from 9 to 12 March, in conjunction with ASEAN Furniture Show, Nook Asia and SingaPlural, IFFS 2017 offers visitors a unique opportunity to experience a bit of Italy in Asia through “THE ITALIAN HOSPITALITY”. A bridge between the East and West, Singapore plays an important role in bringing companies from various continents together and IFFS is a privileged gateway to the markets of South East Asia. Over the years, Italy and Singapore have built strong economic relations and the time is right for the furniture industries of both countries to further collaborate, especially since the sector is a significant contributor of the Italian economy. “THE ITALIAN HOSPITALITY” is a project created with the aim of encouraging European companies to leverage on IFFS as a platform for marketing and business expansion, to penetrate the ASEAN markets and to network with the furniture fraternity there. The feature area is expected to be popular with trade visitors, as Italian design is well-respected and appreciated in Singapore as well as across ASEAN countries. A space where Italian brands converge, the curation features only Italian products, which is characterised by a mix of innovation and industrialisation, with a sartorial, handcrafted touch. 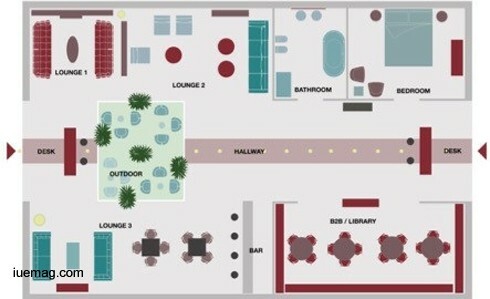 “THE ITALIAN HOSPITALITY” allows visitors to visualise how a lounge located in a hotel, in a VIP area of an airport, or in an office building may look. Involving a wide range of products, the curated space and lounge will feature interior design finishing, upholstery, lights, and furniture. All materials – including wood, glass, metal, and textile – will be used in the best way possible. Italy, with its products, is still a benchmark for the furniture and furnishings industry worldwide and this feature area aims to bring some of Italy’s most original furniture pieces – which is often selected to decorate the most prestigious buildings around the world – to Singapore. Any facts, figures or references stated here are made by the author & don't reflect the endorsement of iU at all times unless otherwise drafted by official staff at iU. This article was first published here on 30th December 2016.